Preparing ahead of time for medical appointments allows patients to think about concerns, symptoms, and other important information that healthcare professionals will need from you, and what you want to get out of the conversation during your visit. SIDM's toolkit was designed for patients visiting their healthcare provider to help tell their story clearly. 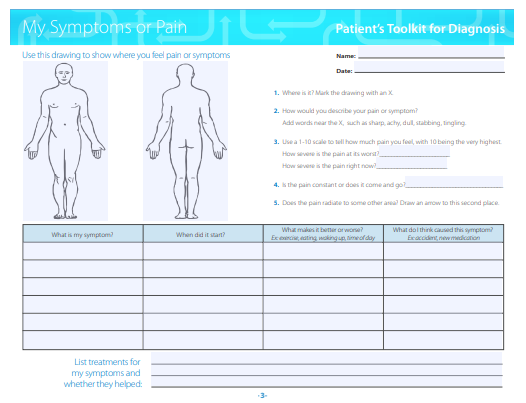 Patients can follow a set of prompts and questions posed in the toolkit to help encourage participation and partnership with medical professionals. Prepare for you next appointment, map your symptoms, account for medications, and plan your next steps with the Patient's Toolkit.